New Delhi: The finance minister’s proposal for a 10% additional levy on dividend income above ₹ 10 lakh may have been intended to tax the super-rich, but it could have an indirect impact on the small shareholder as well. That’s because this tax directly hits promoters—if they hold their shares in the form of individuals, holding firms or Hindu Undivided Families (HUF)—leading them to take decisions on dividends which might not be in the best interests of the minority shareholder. “The rich guy decides how much to pay (as dividends). It will be a disaster for markets. Investors want dividend, speculators want price change," said Raamdeo Agrawal, joint managing director, Motilal Oswal Financial Services Ltd.
India is already one among the lowest dividend paying countries among major world markets. 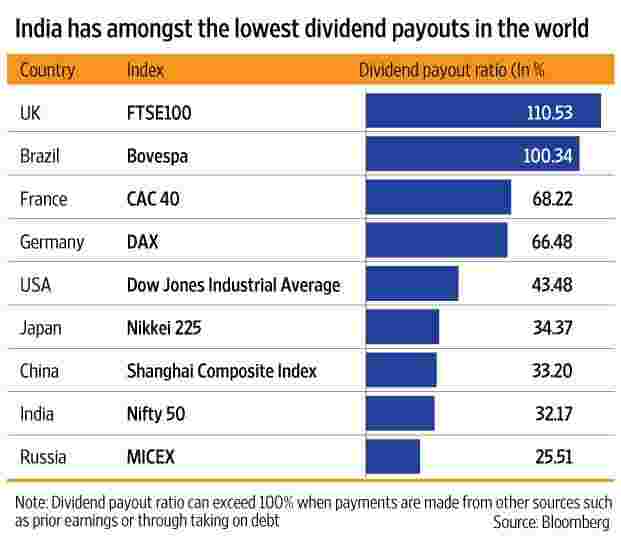 Bloomberg data shows that benchmark indices for the United Kingdom, France, Germany, the US and Japan have a higher dividend payout ratio than India among developed countries. This new tax could act as a further disincentive. Indeed, firms are rushing to announce dividends much ahead of full-year financial results and before the new tax kicks in the new financial year. Capitaline data shows that in the first week post Budget, there have been 70 dividend announcements, about twice the average number seen in the past 10 years. To be sure, some experts suggest a more limited impact. Pranav Haldea, managing director of Prime Database, said that there may not be a drastic change in dividend policies only because of the additional tax. On the brighter side, this can act as another incentive towards retaining capital in the company and reinvesting it into the business, he said. 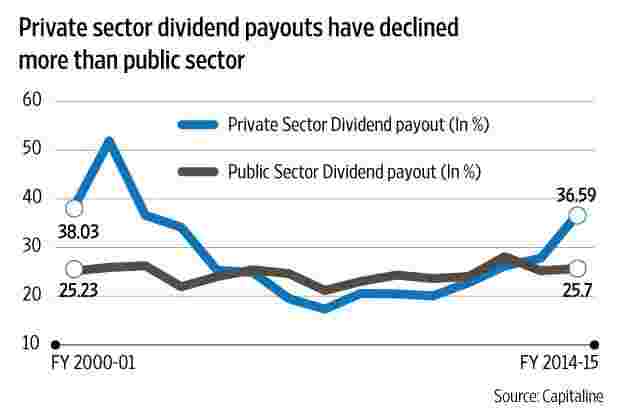 While the average company isn’t building new capacity, dividend payout ratios are already significantly off their peaks for private sector companies. This is also the case for public sector companies, though the decline is less marked, since they have to toe the line set by the government. All said, minority shareholders aren’t likely to see a sharp rise in dividend earnings as earnings will continue to struggle in the medium term. On the other hand, they could stand to make some cash if companies decide on other options such as share buybacks. Restructuring is an option for promoters to save themselves from the tax hit, according to Rajesh H. Gandhi, partner—tax at Deloitte Haskins & Sells. “Promoters would need to consider owning the investments through a corporate structure. Alternatives to dividends for returning shareholder capital, such as buybacks, could become more popular," he said. If you want to know whether your company’s dividend payments will be hit, watch out for promoter restructuring.